"Think of structured cabling as your building’s central nervous system. It is the medium along which the digital stream travels, facilitating data, voice, audio and video transmission. When you consider the technology reliance of today’s businesses, the importance of building a sound infrastructure can’t be overstated." When you need reliable, scalable, future-proofed structured cabling, think Interlink! To compete effectively today your systems must have the capacity to meet your business communication needs now and in the future. It all begins with robust, standards-based cabling and network infrastructure. Interlink Telecommunications offers customized designs for Cat5, Cat6, fiber optic, and wireless networks. Because we’ve worked with all types of businesses, from service providers to manufacturers and oil refineries throughout Sarnia-Lambton, we can assess your situation and make recommendations based on proven solutions. Our reputation for expert design, quality workmanship, and proven equipment is built upon nearly two decades of service to area businesses. We’ll do our work at your location with minimal disruption, completing all projects on time and within budget. Develop solutions that increase your effectiveness and productivity while reducing your overall infrastructure costs. We guarantee that every installation we do meets TIA/EIA industry standards. Interlink Telecommunications is a preferred supplier of TE cabling products and Corning fiber optic products. To obtain this certification, we have met the manufacturers’ stringent requirements for technical and financial strength and have a proven dedication to quality installations. We also commit to frequent factory training to update our skills and stay abreast of the latest technologies. 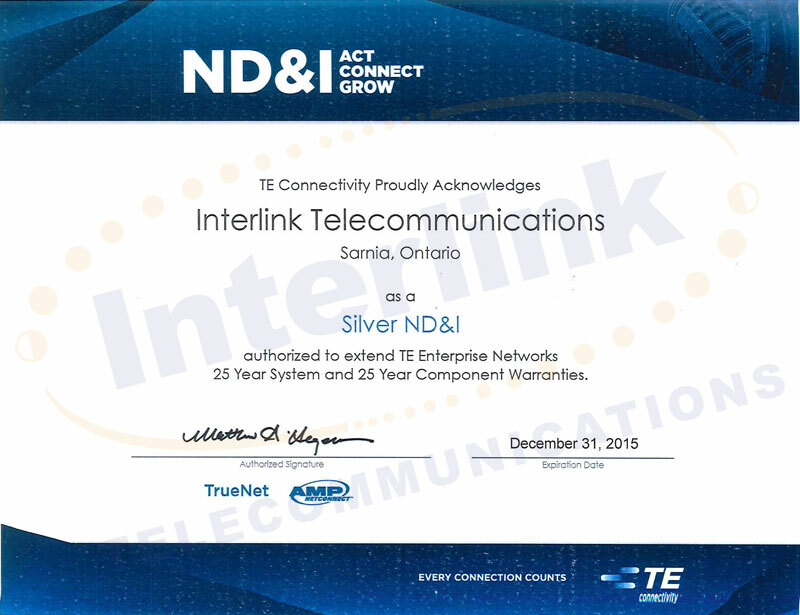 As certified suppliers of TE and Corning products, Interlink Telecommunications is able to offer the best-in-industry warranty. 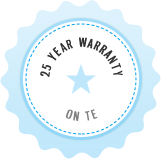 We guarantee to repair or replace defective products free of charge for up to 25 years after installation.